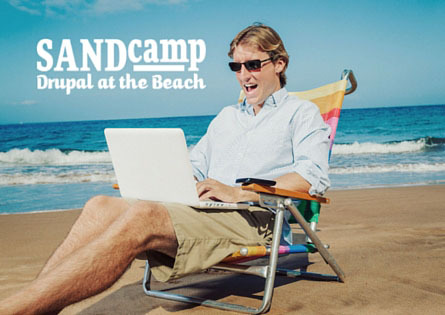 San Diego’s annual Drupal training camp, SANDcamp is next week! SANDcamp is three full days of training with fun social events in the evenings. Sign up now – places are limited and you want to make sure you’re signed up for the training you need. If you’re new to Drupal, or have always wanted to learn more about it – we’ve got you covered! Drupal 7 Site Building Hands-On This is a must for all new to Drupal – learn the lay of the land and how to navigate thru the Drupal ecosystem. Drupal 7 Introduction to Theming and Module Development Hands-On is another lab where you get to learn how to build a custom theme and module yourself. What this is about: different factors that push & pull on a project, and likewise push and pull on the happiness and peace of mind of the client and the dev shop. What this is about: flexible methods for aligning your SEO goals with current best practices. Are you new to Drupal, but don’t know where to start? This session is for you! In 45 minutes (or less), we will demo how to install Drupal 8, build a functioning web site and deploy it live to the Internet. We at Sage Tree are happy to support SANDcamp as a Gold level sponsor. Make sure you come by and say hi to our friendly Sage Tree experts in our booth. We’d love to say hi and chat with you!